We welcome the judgment. This shows that the classification of the CUSP last May is totally unnecessary. The judgment implies that the interim classification is void at the very beginning so the review hearing adjourned on 8 July 2007 will not be resumed. We opine that it serves no purpose for the TELA to re-submit the CUSP to the OAT for interim classification. We urge TELA to confirm that they will not re-submit the CUSP to the OAT. The judgment also shows that CUHK is over-sensitive and does not protect the rights of its students. CUHK does not even uphold academic freedom. CUHK does not withdraw the warning letters to its students last May. To our understanding, those letters will automatically become part of the personal data of the 12 students affected. We urge CUHK to withdraw those warning letters since last May but in vain. In or about late July, Melody Chan, one of the above 12 students, submitted a personal data request form to the CUHK regarding the warning letter. 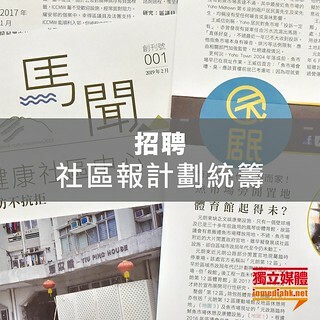 However, the CUHK failed to reply which violates the Personal Data (Privacy) Ordinance. We reiterate the demand of withdrawing the letters and require Vice-Chancellor L. Lau CY to respond prompt and apologize publicly.